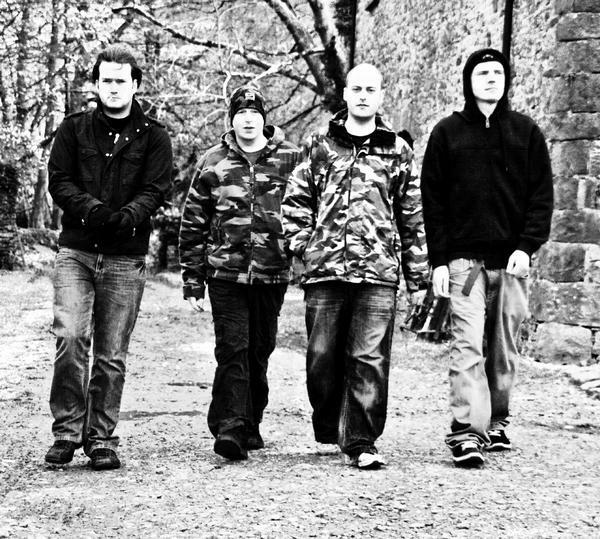 Today's New Band To Burn One To is from Newport, Wales United Kingdom. Their name is Blue Gillespie. They are a four piece hard rock group that plays hard rock/stoner and metal music. The guitars are fast and furious and even doomy at times. The vocals are like a little Ben Ward (Orange Goblin) and a little like Joe Sweet (Brand New Sin). Following the two successful Cave Country EP's, Newport based progressive metal band Blue Gillespie present their first full length Album "Synesthesia". After two years of hard work, Blue Gillespie are now energised in the belief that they have found their sound. The name of the band originates in the idea that all of us have an alter-ego manifesting itself in the most negative aspects of our personality i.e. arrogance, jealousy, hate, despair, self-loathing and rage. One way to purge our angry doppelgängers and keep them from surfacing in polite company is to indulge them through music. Gillespie is the name of the band’s collective evil alter-ego. The lyrics are his mind, the bass is his foot, the guitar is his hand and the drum his heart. Given a live platform Blue Gillespie invite an audience to join in this release of negativity through sludgy epic riffs, brutal intricate beats, aggressive bluesy vocal lines and on the spectators part, sweaty relentless head banging. Blue Gillespie is meant for an audience who recognise a "Gillespie" in themselves. The angry voice inside, spitting and cursing at a world which never seems to offer a foothold as leverage to enlightenment. The desperate raging voice that has no ear in everyday social surroundings. By vanquishing their alter-egos through the music, listeners may feel closer to the more positive, optimistic aspects of their nature.